If you rely on a gas furnace to keep your home warm during the cold winter nights then you know the need to have them maintained periodically and repaired immediately. And you should also know that gas furnace repairs are not a DIY project that you should consider doing. Here are the top reasons why you should leave something as dangerous as repairing a gas furnace to the professionals. It can be hard to even find out what’s wrong with your gas furnace, let alone try to fix it on your own. There are many probable causes why your gas furnace isn’t working and trying to find out which one it is on your own is not only time-consuming it can also be dangerous. A professional Longview air conditioning and heating contractor knows all that could go wrong in a gas furnace and can tell what is wrong almost immediately and get to work repairing it. This will save you time so you won’t have to endure the cold for long. 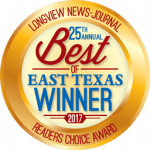 You may have tried to fix your furnace yourself one or more times and was successful at it, but your level of experience does not even compare to that of a professional Longview furnace repairs technician. There are lots of things that could go wrong in a gas furnace, and odds are you haven’t seen even a quarter of them. Because of the number of calls they responded to and also due to their training, professional contractors know of all the problems and know just what to do when they encounter them. When professional technicians respond to a call, they always have the right kind of tools to do the job right. You will find that when you try and fix your furnace yourself. it will take more than a screwdriver and some duct tape to do the repairs. So, instead of buying expensive specialized tools which you won’t be using for anything else anyway, save money by just hiring the professionals. You may think that you are saving money by doing the Longview furnace repairs yourself, but there is a very distinct possibility that you will make the problem worse, leading to more costly repairs. If you would just get help from a professional HVAC contractor the problem would likely be fixed right away, and if they do make a mistake you can be sure they will fix it the second time around without charging extra. Remember that you are dealing with highly pressurized metal pipes, extreme heat, and combustible fuel, one wrong move and you can be looking at a gas leak in your home or worse an explosion in your basement. Be safe and just let a qualified Longview heating contractor and ac contractor do the dangerous work for you.